IBM always prized by the performance of their programs and their database is not different, the IBM DB2 is undoubtedly one of the best options in the market especially about cost-effective. This is because the IBM DB2 has an intelligence that makes its performance virtually self manageable according to the volume of data and also because several DBA activities can be automated by simply setting some information, in addition, the IBM DB2 can also be installed on any operating system that can reduce the cost with the server substantially. With the benefits that the IBM DB2 offers, it is very common to find DB2 in projects where the server-side language is PHP, this combination tends to bring important benefits to the project once both can optimize costs so it ends up becoming highly profitable. 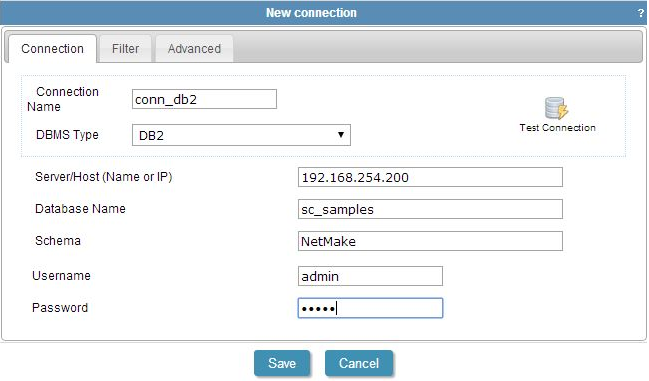 Database Name: Enter the DB2 database instance name. Schema: You can tell the Schema (Optional), if you wish to use only the tables belonging to the schema. Scriptcase support stored procedures and all SQL statements (joins, order by, group by, among others) of DB2, why lose time when you have Scriptcase to help you out?! Download it now and test it free for 20 days!